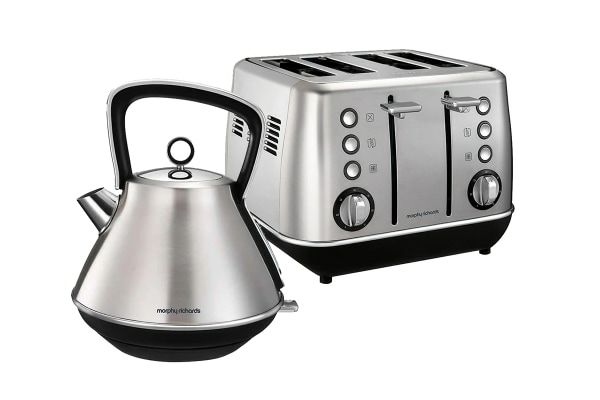 Add a touch of elegance to your kitchen with the Morphy Richards Evoke 4-Slice Toaster and Pyramid Kettle. 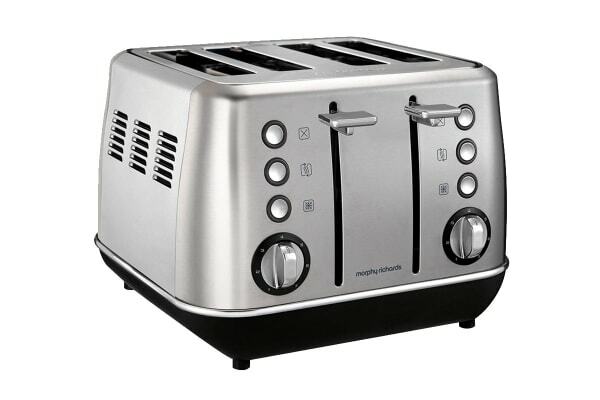 Start every morning off right with up to four slices of toast browned to the perfect level of golden with the Morphy Richards Evoke 4-Slice Toaster – if your bread is frozen, simply use the frozen function to rapidly defrost. 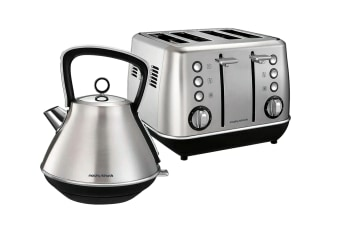 While your breakfast is toasting, pop on the Morphy Richards Evoke Pyramid Kettle for a cup of coffee or early grey. 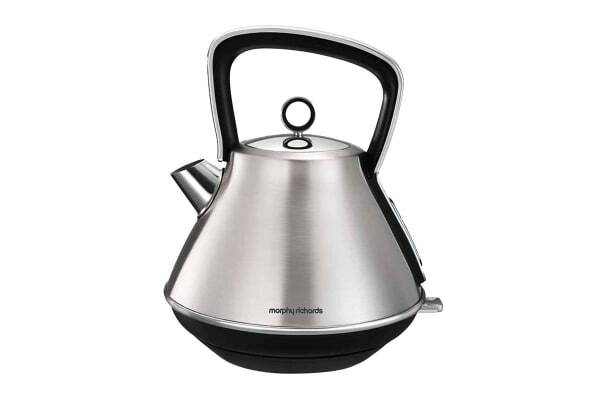 This stylish kettle makes up to six cups at once and adds elegant style to your kitchen.